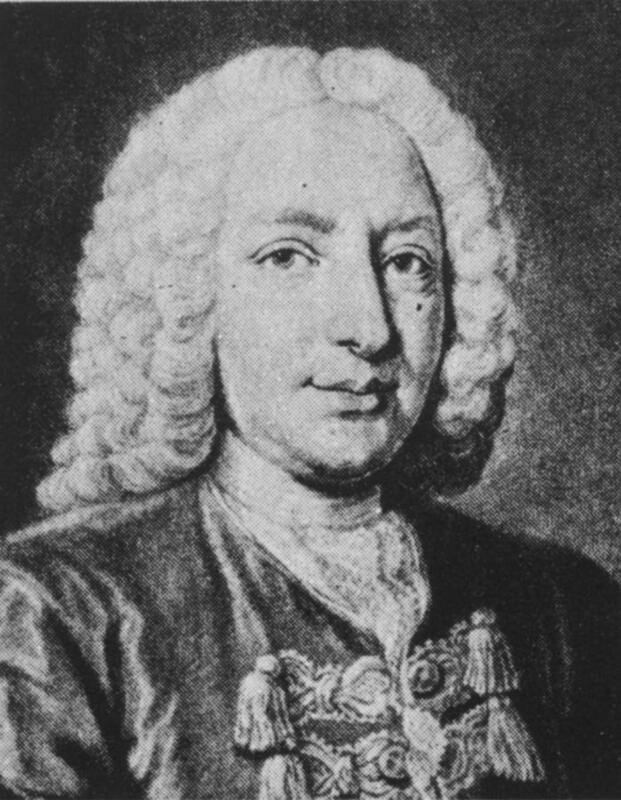 Our association is named after the very famous, Daniel Bernoulli, who was born in Groningen. We, chemical engineers, know his name, mainly of his equation that describes a mechanical energy balance. In 1738 Daniel Bernoulli laid the basis for this comparison. And even now, in 2018 the equation of Bernoulli, still plays a huge role in the technical fluid mechanics. Daniel Bernoulli was born on 29 January 1700 in Groningen. His father, Johan Bernoulli taught mathematics at the University of Groningen. This professor job was offered to his Johan Bernoulli in 1695 on the recommendation of the famous Christiaan Huygens. Johan Bernoulli and his brother, Jacob Bernoulli, had developed differential and integral accounts into a mathematical theory and had solved many problems with this theory. The Bernoulli family consisting of a father, mother, three sons and four daughters, lived at the Oude Boteringestraat in Groningen. In 1704 they moved to the ‘Corenrijp’ on the east side of the Grote Markt. The family moved one last time but now to Basel in Switzerland. One of the sons, called Daniel, was only 5 years old when the family moved to Basel. Daniel Bernoulli finished here his primary school and later the Gymnasium. The theological background of his father, made ​​sure he spent several years in a monastery, after which he went to study Philosophy in Bern. His interests however were in the field of mathematics, but under pressure of his father, he had to go to study medicines after studying philosophy. He continued this in Strasbourg and Heidelberg. In 1721 he returned to Basel but he began to look for a job in which his interest in mathematics could come forward. From 1725 to 1733 he taught mathematics at the University of St. Petersburg. In 1733 he was appointed professor of anatomy and botany in Basel but also was he appointed in 1750 as professor of physics and speculative philosophy. In 1738 Bernoulli introduced the famous Bernoulli equation in the book "Hydrodynamica sive de viribus et motibus fluidorum": This equation shows the relationship between the pressure and velocity along a streamline in an incompressible, steady , frictionless , continuous flow. Furthermore, for the first time described in the book the principles of the kinetic theory of gases and was Boyle's law derived. The book was well admired at the time but contained several things that could be appreciated only in the 20th century. Daniel Bernoulli studied further on practical applications of the probability theory among other things with regard to the reduction of mortality as a result of smallpox vaccination. Together with Euler and d' Alembert he laid the foundation for the partial differential equations , based on the vibrating string theory. Daniel Bernoulli died on March 17, 1782 at the age of 82 in Basel and was buried in St. Petersburg. Bernoulli was in his time a respected scholar, but his ideas were ahead of his time and these were only considered as very valuable in the twentieth century. Nevertheless, he received the French Academy prize ten times during his career.